Wednesday: Cleaned the Toy before going out to the Eureka for breakfast. I made the mistake of lubricating the chain with Finnish Line Wetlube last week the downside being it picked up all the blown sand at Hoylake and Moreton. Spoke to a chap that had ridden out from Runcorn via Chester using an Etrex and OSM maps. 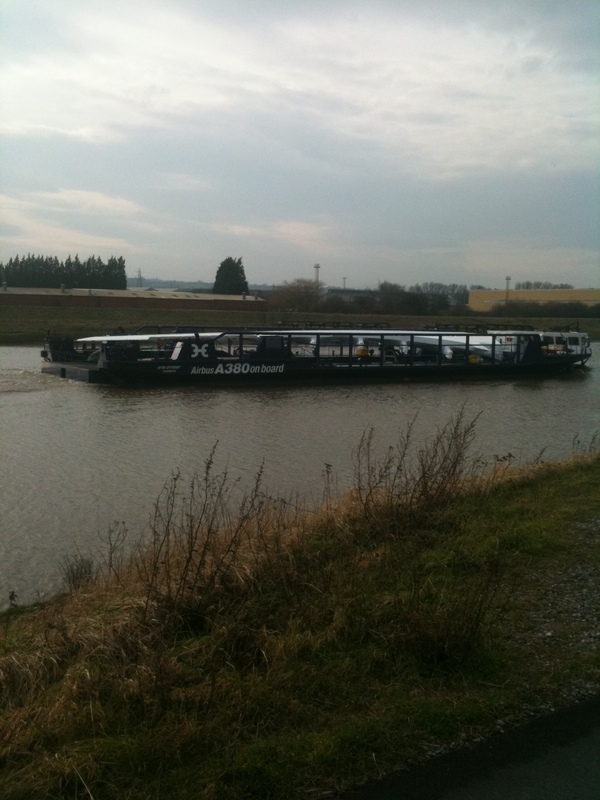 He mentioned about the barge so that was enough to put in a detour on my trip out to the Bike Factory. Picked up a Mavic spokekey for the Ksyriums and headed back leaving the cycle path at Blacon heading back to the Eureka via Woodbank. Friday: Out to the Eureka for breakfast, where Dave tweets his order in on Twitter. I did that route along the river with Andy and saw the small dredger which keeps the channel open for the barge.